At Essco, we engineer our doctor blades for greater reliability and consistent performance. We manufacture doctor blades for every application using the highest quality material. We can customize any blade to your specific use. 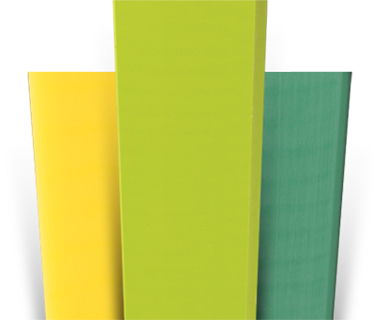 Cotton Essco’s cotton-based blades offer economical water and fiber removal for forming sections and soft press rolls on certain paper machines. Plastic Essco’s plastic blades provide cost-effective options for applications that require less rigidity, such as water removal. 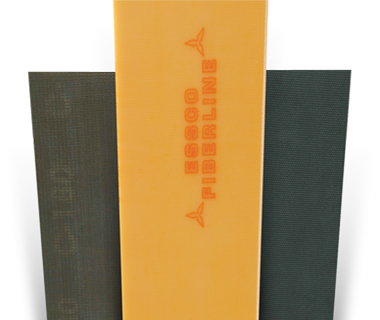 Fiberglass Fiberglass blades provide excellent blade life, roll cleaning performance and wear resistance. 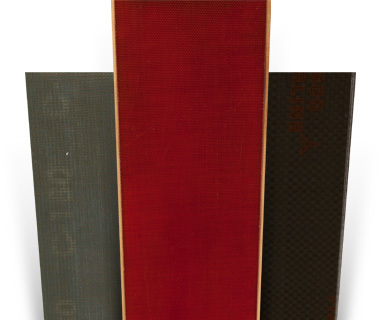 Fiberglass blades can incorporate custom laminates for most any application. Carbon Fiber Carbon fiber is one of the most popular choices for applications that require a strong, long-lasting doctor blade. Carbon fiber offers high flex resistance, longevity and resistance to corrosion. 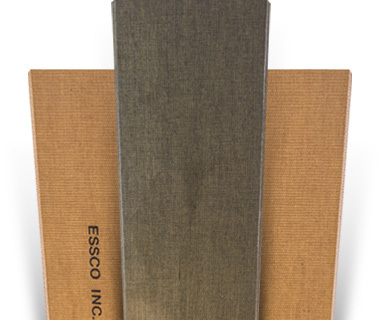 Metal Primarily used in tissue and creping operations, Essco metal blades are available in several alloys and hardness ranges. 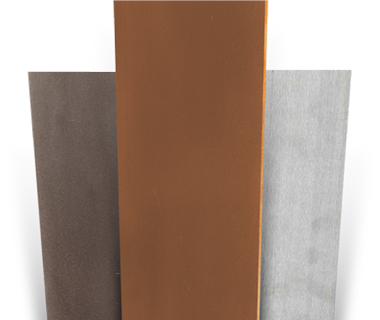 Abrasive Abrasive blades offer excellent cleaning performance for oscillating applications, such as press doctor trailing positions or in the dryer section. Spec 172	 1075/1095 steel .025", .035", .050"
Spec 173	 stainless steel .015", .025", .035", .050"
Spec 173HT	 stainless steel with tungsten carbide or other proprietary wear resistant coating .050"
Spec 176	 bronze .035", .050", .093"
Spec 285	 Virgin UHMW Polyethylene .250"
Spec 285SF	 Polyethylene with Impregnated Lubricant .250"
Spec 285GB	 Micron Bead Filled UHMW Polyethylene with Extended Thermal and Wear Properties .250"
Spec 285XL	 Enhanced Wear Life UHMW Polyethylene .250"
Spec 281	 Teflon, White TFE Low Friction, High Temperature (Fiberglass Reinforced Also Available) .250"